The contents of Morey's book are familiar from many previous Christian polemics against Islam - a dubious look at the Prophet Muhammad's life, at Islamic theology, and at Muslim history - but the intent is different. In bygone eras, such a study would have had a missionary purpose; now, as the title and subtitle both imply, it is defensive. Christians no longer expect to take their faith to the Muslims but fear conversions of their own to Islam. The back cover asks, "As mosques appear across the country, people are asking - 'What do I need to know about Islam?'" Morey, executive director of the Research and Education Foundation, "an organization which investigates topics that affect Western culture and values," offers an alarming answer. 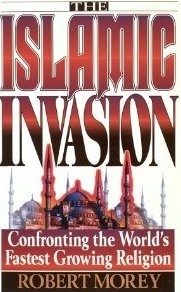 He sees Islam primarily as "a form of cultural imperialism" that seeks to impose the ways of seventh-century Arabia on twentieth-century America. To back this up, he tells of visiting an African-American household and finding that its members "wore Arab clothing, listened to Arab music, and ate Arab food! . . . They had abandoned American culture and adopted Arabian culture instead. This is what Islam meant to them. " He also cites a poll from the height of the Kuwait war which showed that many Arab Muslims in the United States said they would not allow a child to fight for the United States and against Iraq. Also in this spirit, the final chapter deals with the Nation of Islam, arguing against it in roughly the same way as the earlier chapters did against mainstream Islam.